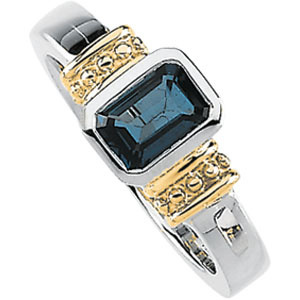 Genuine London blue topaz ring is made of sterling silver and 14kt yellow gold. Stone measures 7mm by 5mm. Weight: 5.55 grams. Comfortable band, for every occasion, unique look.